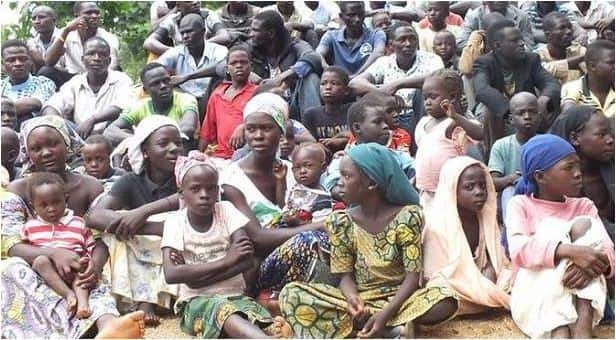 The United Nations (UN) has said that no fewer than 32,000 Cameroonians fleeing insecurity and violence are currently taking refuge in Nigeria. The UN resident and humanitarian coordinator for Cameroon, Allegra Baiocchi, while presenting the 2019 Humanitarian Response Plan (HRP) for the country, described the situation in the country as “forgotten crisis”, NAN reports. Baiocchi and Cameroon’s civil protection director, Yap Mariatou, warned at the launch in Geneva that there was a drastic increase in humanitarian need across the country. The UN chief for Cameroon regretted that with attacks on the rise, around 4.3 million Cameroonians, mostly women and children, were in need of lifesaving assistance. She said: “Insecurity and violence in these regions have uprooted 437,000 people from their homes and forced over 32,000 to seek refuge in neighbouring Nigeria. Four million people are affected by the conflict in Cameroon’s west. Baiocchi said “Humanitarian needs are likely to increase in coming years,” while lamenting over underfunding in the 2018 HRP for the country. In her words: “Underfunding means we cannot do all we can to make a difference in the life of most vulnerable people across Cameroon, whether it is the girl who is missing school due to violence, the displaced mother struggling to feed her children, or the father who has lost his entire family. She added: “Attacks against civilians have increased and many conflict-affected people are surviving in harsh conditions without humanitarian assistance due to the dramatic underfunding of the response. “Cameroon today can no longer be a forgotten crisis; it needs to be high on our agenda”. With needs rising by 31 per cent in a year, the UN estimated that around 4.3 million people in Cameroon - one in six people and mostly women and children - require lifesaving assistance. The joint HRP 2019 seeks $299 million to assist 2.3 million vulnerable people, more than half of those in need. In 2018, a $320 million response plan for Cameroon was only 40 per cent funded. The aggravation of the conflict in western regions is the main driver behind the increase, with armed attacks in the far north, and new refugees coming from the Central African Republic also increasing demand for urgent aid. Mariatou said: “The government of Cameroon is responsible for the protection and wellbeing of its people and has been at the forefront of the response with its national and international partners. Meanwhile, Legit.ng previously reported that and seeking refuge in Nigeria crossed the 30,000-mark last year, 2018, according to the UN High Commission for Refugees (UNHCR). Babar Baloch, a spokesperson for UNHCR, highlighted that the needs on the ground to cater for the refugees in Nigeria outpaced donor efforts.